Credit: Pompeii Archaeological Site Press Office via AP. 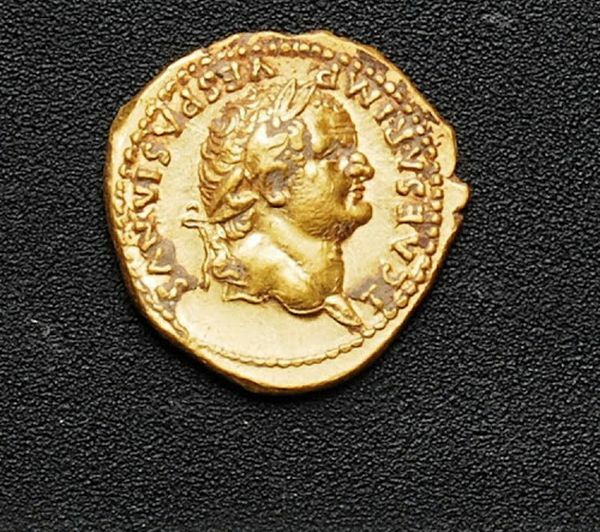 A team of Italian and French archaeologists have discovered four skeletons and gold coins inside the confines of an ancient shop located in the outer parameter of Pompeii. The human remains were judged to be of younger people, with one particular skeleton belonging to an adolescent girl. All of them possibly met their untimely demise due to the suffocating effects during the eruption of Mount Vesuvius in 79 AD (check the animated video that aptly presents the calamitous scenario). However beyond the scope of unfortunate circumstances, the researchers also came across extant artifacts that hark back to the ancient Roman era. These objects include gold coins and a necklace pendant (made of gold leaf foil) that were found among the bones. The excavation project in itself started in May of this year, and the archaeological focused mainly on two areas – the aforementioned shop and another shop located near a necropolis in the Herculaneum port. And while the previous shop contained the remnants of a furnace-like equipment, probably used for crafting bronze objects; the archaeologists are still unsure about the function of the second shop. The latter demonstrates a unique spatial attribute of a circular well dug out of the common terrain, which is accessible via a spiral staircase. 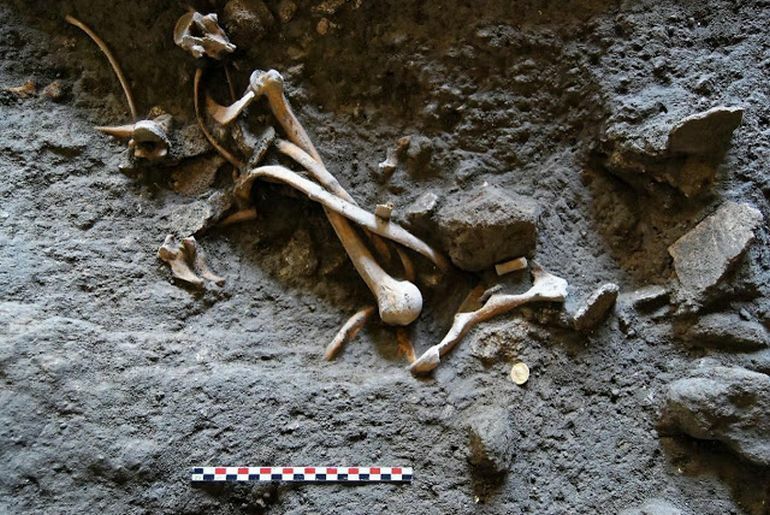 The researchers have also come across evidences of ancient robbers trying their best to ransack these shops, by taking advantage of the presumed chaos after the Vesuvius eruption. 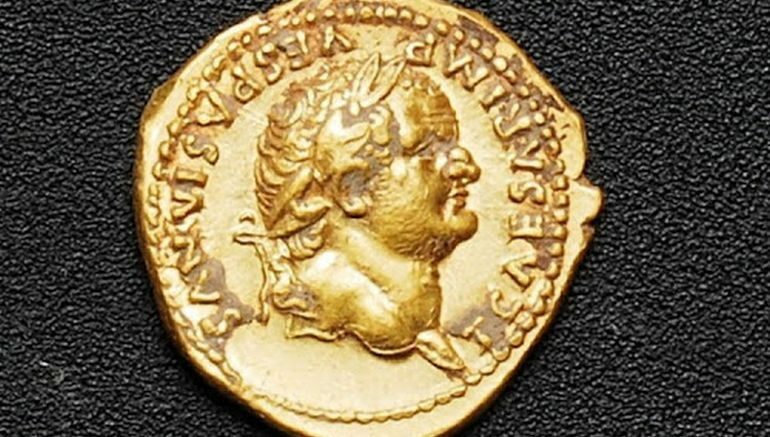 But the clandestine operatives missed out on these treasures comprising the gold coins and the pendant – possibly on account of these objects being buried under the ashes just after the calamity. Lastly, and interestingly enough, the excavation project has also unveiled an ancient ambit that harks back to a period before the Roman empire, corresponding to early days of the Republic. To that end, the archaeologists came across an impressive tomb of an individual dating back to 4th century BC. The occupant of the tomb is possibly a male, with the skeleton lying on its back, and accompanied by an array of six funerary vases. This naturally brings up the question – when was the town of Pompeii actually founded? Well previous archaeological analysis have unveiled pottery shards and organic animal bones that date from 7th century BC, when the settlement was possibly inhabited by the Oscans (Osci), a ‘non-Roman’ people hailing from central Italy. Furthermore, the proximate area was also possibly used as a safe harbor by the Greeks based in Italy (Magna Graecia), while the later centuries brought forth the invading bands of Samnites – who in turn were subjugated by the rising Romans.